The 2017 Hyundai Elantra is sweeping the Lockwood and Billings area with its elegant look and award-winning safety features. The already feature-packed Hyundai Elantra is equipped with advanced safety features giving you peace of mind. Keep reading to learn more about the safety features of the 2017 Elantra. 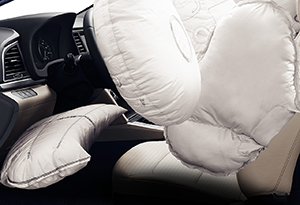 Seven Airbags: The interior is loaded with six front, side-impact and side-curtain airbags along with an innovative driver’s knee airbag, providing protection for all occupants and making the Elantra one of the safest sedans in its segment. Side-Impact Beams: A high strength steel beam inside each door of the vehicle gives added protection for drivers and passengers alike from an unavoidable side impact collision. Automatic Emergency Braking: A camera and radar sensor scan the road for objects and pedestrians in the path of your Elantra and automatically brakes if the driver does not react. If a pedestrian is detected, full brake stopping power is applied from 5 to 43 mph. 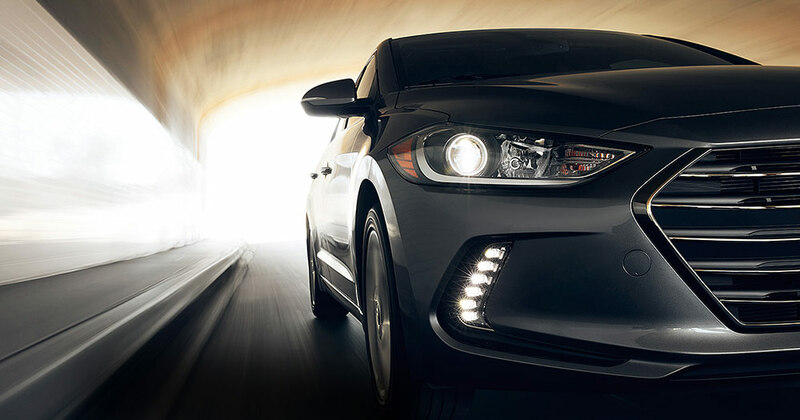 Pedestrian detection is a segment first, setting the Elantra apart from its competitors. Lane Departure Warning: Gives you an audible and visual cue when it detects the vehicle drifting outside of the lane. Lane Keep Assist applies corrective steering when action is not taken by the driver. Smart Cruise Control: Maintains your speed and automatically adjusts when slower moving objects are detected in front of the car. Blind Spot Detection: This advanced radar system gives you an audible and a visual signal when a vehicle enters your blind spot. Rear Cross-Traffic Alert: Notifies the driver of vehicles approaching from the side of the car when in reverse. Dynamic Bending Light: Lights turn when you do, giving you increased visibility of what’s coming on the road ahead. High Beam Assist: Your high beams are automatically dimmed when headlights from oncoming traffic are detected. 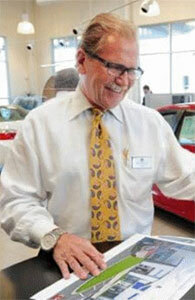 Lockwood drivers can see the newly redesigned Hyundai Elantra at Underriner Hyundai in Billings, MT. Make the call to our sales team at 406.255.2365 to setup a test drive or contact us online today to take advantage of the safety offered by the 2017 Hyundai Elantra!